Book your transfer with SFO Limo Airport on our Private Airport Transfer service today! At SFO Limo Airport our Private Airport Transfer service is available for transfers between San Francisco Airport, San Jose Airport, Oakland Airport, and 1486 locations across United States. The Private Airport Transfer service aboard SFO Limo Airport is an express on-demand door-to-door transfer service. Your vehicle will be travelling exclusively for you and your group, directly without stops or delays, to your destination. Your transfer time will be best suited to match your specific requirements and the driver will pick you up and drop you off whenever it suits you. Our Private Airport Transfer service is available 24 hours a day 7 days a week and can be booked up to 4 hours ahead of travel. At SFO Limo Airport we offer fixed transfer fares starting from $90.66 USD total one-way and with enough seat capacity for up to 13 passengers. Your final fare with us includes luggage allowance for 1 carry-on bag and 1 check-in bag per passenger. Also included in all our fares are airport parking fees, any tolls along the route and your drivers waiting time. 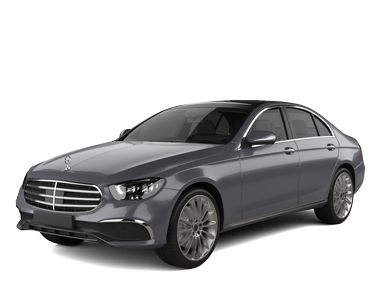 SFO Limo Airport is a transport company based in United States and we have been a professional transport supplier on Jayride since June 2018. Missing a flight is no more an option because SFO Airport Transportation Service’s punctual chauffeurs esteem your program. You will find us outside your door prior to the decided time. Our motorists are competent to drive conscientiously so you don’t have to be fretful about missing your flight. Apart from the luxurious feature, SFO Airport Transportation Service’s limousines are expansive enough to passage the luggage of 6-7 individuals. The interior system is contrived to regulate the temperature depending upon the external temperature. Our meticulously structured seats will provide you relaxation during the course of your expedition because we know how fatiguing plane roving gets. SFO Airport Transportation Service facilitates their customers with an additional improvement. Book your ride afore taking off with all the specifics concerning your flight and you will find us outside the airport when you land. Flawlessness is impracticality and we are well aware of this fact hence the aspect that your flight might be deferred would be kept in mind. We will wait for your arrival so you don’t exhaust yourselves any more than you would have already been.